The advent of online video (spoiler alert) has become one of the 21st century’s greatest revelations. It’s transformed homebodies into celebrities. It’s opened eyes, ears and minds around the world - literally at the speed of light. Heck, it’s even turned goats and hedgehogs into viral sensations. 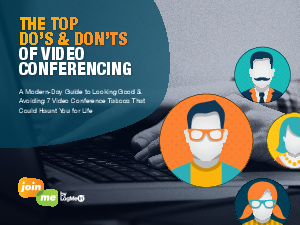 This paper explores the do’s and don’ts that elevate the overall experience of a video conference.